Law Firm Cedarhurst: Should You Form an LLC For Your Business? Should You Form an LLC For Your Business? If you are concerned about your personal exposure through business activities, it may be time to start thinking about forming an LLC (Limited Liability Corporation). Deciding on the right business formation from the start can make your business dealings much easier, and provide you with the peace of mind that your personal assets are protected. At Katz Law Firm, we can help you form your LLC, and handle any questions or concerns you may have along the way. An LLC offers many benefits, read on to see if an LLC might be right for your business. Starting your business out with the right formation is important and impacts how you pay your taxes and your personal liability. LLCs give many of the benefits of an S or C-Corp but are more flexible and require less paperwork. Many people find that the tax side of the business is simplified by choosing an LLC, and choose to incorporate for tax reasons. The IRS allows you to file your business taxes as an LLC on your personal return, and the LLC is not taxed directly. A single member LLC is like a sole proprietorship, and the way you file will be the same. This “pass-through” taxation means that the LLC does not pay its own taxes, or corporate taxes. LLCs can also be formed as a partnership, with elected members, or as a corporation. You will need to create an Operating Agreement that lays out how the IRS will be handling your LLC. Using a law firm can help to ensure you form your LLC and draft your Operating Agreement in the right way. LLCs are more flexible and require fewer records than an S-Corp or C-Corp. You do need to draft an LLC Operating Agreement that lays out the rules that govern your business, but the paperwork is significantly less than other formations. S-Corps and C-Corps typically hold shareholder meetings, make annual reports, and require detailed recordkeeping. LLCs don’t have to hold annual meetings, usually don’t need annual reports, and keep far fewer records. For a small business owner who already has a full plate, an LLC can have great rewards with minimal paperwork. When you have a business that is a sole proprietorship or a partnership, you are seen as personally liable for any business debts or lawsuits. If you have employees or partners that are negligent, your own personal assets can become at-risk. An LLC is legally separate from the personal owner of the business, and keeps your business risk separate from your personal assets. LLCs can experience debts, losses, and lawsuits, but your personal property and investments are shielded from collection of business debts. This creates a wall around your personal assets that allows you to run your business with protection. This same protection is not found in a sole-proprietorship, and can lower not only your liability, but your stress level in business dealings. While the benefits of forming an LLC are many, there are disadvantages that you should weigh before committing to an LLC. Since you are taxed as a sole-proprietorship, you will need to pay self-employment taxes on your LLC. These tax rates are higher than what a corporation would be taxed at, and are something that should be considered before formation. You will also pay Medicare and Social Security taxes when classified as an LLC. Additionally, there are costs to operating and maintaining an LLC that should be explored before moving from a sole-proprietorship. Certain business, such as insurance companies and banks, are not eligible to form as an LLC; all of these intricacies can be addressed by your lawyer. How you form your business really does have a large impact on your taxes, protection and time spent in meetings and on paperwork. Choosing wisely in the beginning will reap rewards later, and having the right advice will help you make the best choice for your business. 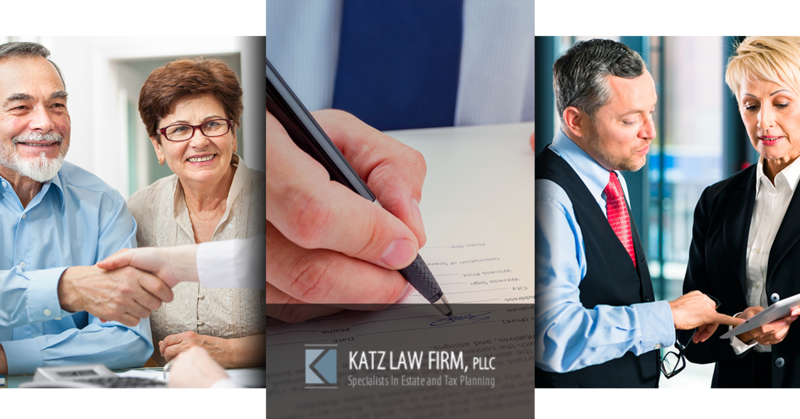 Katz Law Firm would love to be your trusted partner in exploring the different options for your business, and handling your business and tax questions. Contact our office in Cedarhurst to set up an appointment, knowing that being informed is the first step in successful business planning.